And here's the second mask that I put in the photo-eye Show. 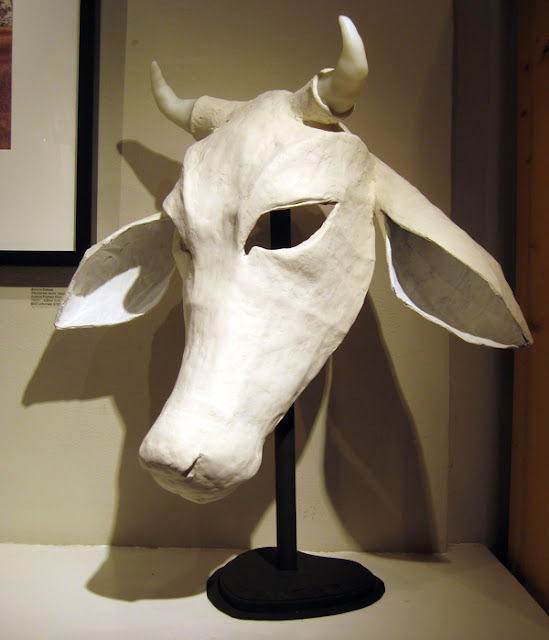 It's based on a brahman cow. I love this one. It's unfinished -- I didn't even get to sand it -- but the form is all there. 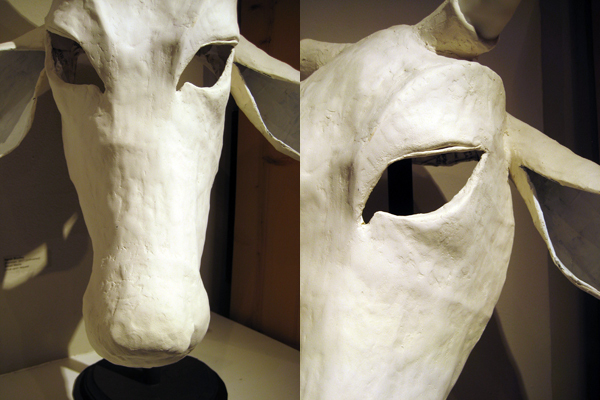 Wire frame, paper mache and paper clay with instamorph horns. It will probably stay pale in color -- off white & grey -- but I want to give it a soft texture. This one is still easily wearable. And I'll post pictures of it being worn and it's finished look.